Duchess Kate: William and Kate's new apartment, Kate spends quality time with Prince Charles, Who the Duchess is making jam for and Will-Kat? William and Kate's new apartment, Kate spends quality time with Prince Charles, Who the Duchess is making jam for and Will-Kat? 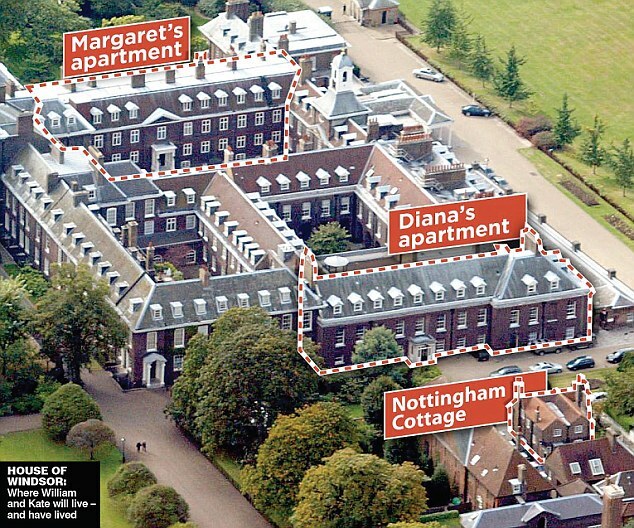 William and Kate currently divide their time between Anglesey and their two bedroom home, Nottingham cottage, located in the grounds of Kensington Palace. Kensington was also thought to be a temporary choice for the young couple as the space was insufficient. After much thought and consideration the couple have decided Kensington is the palace where they want their family home. 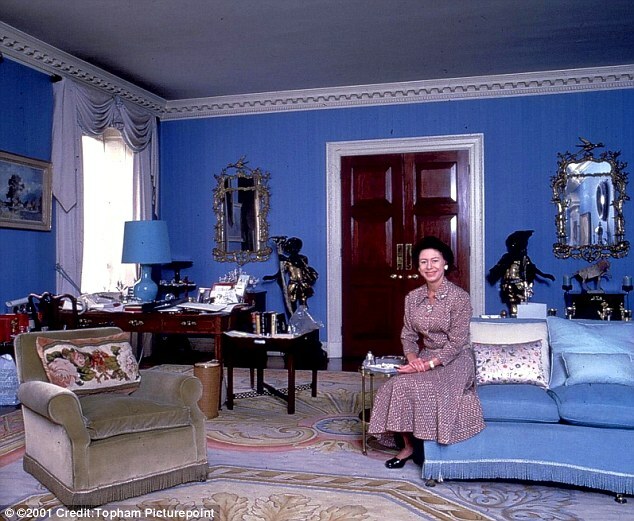 The Queen has intervened to enable the couple to live in Princess Margaret's former apartment 1A. In the 1960's the twenty room apartment was a hotspot for celebrities such as The Beatles and The Rolling Stones. World famous bands would visit the drawing room to visit 'hip' royals, Princess Margaret and Lord Snowdon. "William and Kate visited apartment 1A and loved it. Kate particularly adored the private walled garden because she loves gardening, and she just thought the house has so much potential. She also liked the fact it was so close to Kensington high street". It is never an easy task shopping for your in laws but when your grandmother in law is the Queen it's certainly daunting..... This Christmas Duchess Kate is reportedly planning to give her majesty homemade of strawberry jam and plum conserve. Kate was spotted buying jars in Wilkinson and is quite talented in the kitchen. The Queen has always favoured handmade gifts over extravagance and will no doubt be pleased with Kate's efforts. In preparation for Christmas the Duchess is also practising her new signature as 'Catherine' and choosing which photo to use for the first 'William and Kate' Christmas card. "The Duchess of Cambridge and The Prince of Wales have made several private visits to the Royal Opera House together, before and since the royal wedding in April, to watch several opera and ballet productions". Prince Charles described Duchess Kate as his 'Darling, daughter in law' because she stepped in for him at a charity dinner recently. Charles reportedly gave Kate a diamond bracelet and matching earrings. I'm looking for other sources to confirm this rumour but it does seem to be a possibility. We'll have to see if she's spotted with new pieces! I'm delighted to see Kate is getting along so wonderfully with the Windsor's. They are obviously very fond of her and I'm so glad we are hearing stories like these instead of negative ones. I was rather surprised to read in a Daily Mail article that the press are calling William and Kate, Will-Kat I cannot see this catching on. I do not think anyone will refer to our future King and Queen as 'Will-Kat' (It sounds like a chocolate snack). There are many headline friendly alternatives such as The Cambridge's, or good old William and Kate. haha Bekah, I do think so! Not quite the right name for our favourite royals! I am definitely not liking Will-Kat. It reduces them to the level of Hollywood celebrities like "Dashton" and "Brangelina". UGH!! What engagements do they have coming up this week that you mentioned we might see her new jewelry? Rachel - Kate has two engagements coming up in this week. On November 10 she will attend a dinner at St James' Palace and on November 13, she will attend 'remembrance sunday' which marks the anniversary of the end of the war, She will definitely be wearing black for this. Hahahaha will-kat is definitely very unattractive sounding. I found it interesting that once Kate was married she was supposed to be referred to as "Catherine" but I have yet to change my habits. I think it will always be "William and Kate"
I didn't realize you were responding to my comments on here! :P I never read the comments after I post one. :) But thanks!